Rubberex Neoprene Rubber Safety Gloves 10" Neoprene protects against acids, caustics, oils, greases and many solvents, as well as abrasion and cut hazards. 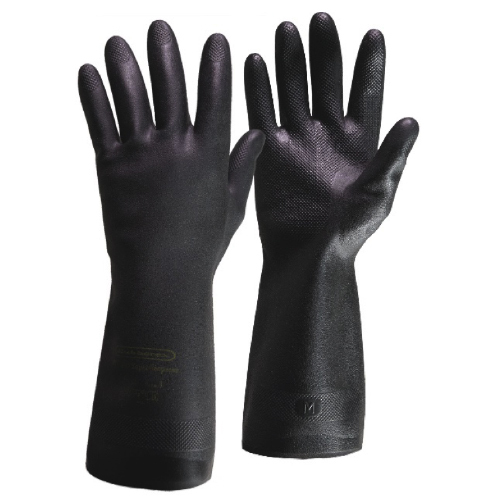 This heavyweight glove features a five-piece flannel liner. Rough finished styles provide an excellent wet grip. Sold per pair. Heavy-Duty Chemical Protection!